SAN FRANCISCO (CN) — A retired UC Davis researcher may have tipped the advantage to the university Tuesday on the last day of testimony in a federal jury trial over rights to use valuable strawberry cultivars in his private company and compete with the school for a share of California’s $2.5 billion strawberry industry. Doug Shaw, an acclaimed strawberry breeder who developed more than a dozen varieties of the fruit for UC Davis’s strawberry breeding program before he retired to start California Berry Cultivars (CBC), acknowledged Tuesday that some of his company’s strawberry plants were bred in Spain from university-owned plants that had not been released commercially. CBC imported seeds harvested from the plants into the United States. Shaw tried to shift blame for the presence of university-owned genetic material in CBC’s plants to Eurosemillas, the company that conducted the breeding in Spain, and a co-founder of CBC. But UC Davis has claimed all along that Shaw bred strawberries from its plants for CBC without permission, and infringed nine of its strawberry patents by bringing the seeds into the United States. According to UC Davis, Shaw and his research partner Kirk Larson bred or cross-bred the seeds in Spain because they knew they could not do so in the United States without violating U.S. patent laws. 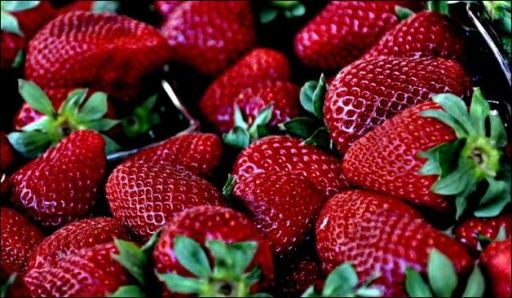 Before retiring, Shaw and Larson told UC Davis they wanted to form a private strawberry breeding company when they left the university, and proposed that the company license the strawberries they invented for the school, develop new varieties from them, and pay the school royalties. UC Davis rejected the proposal and sought to protect its rights to 168 of the most valuable varieties Shaw and Larson developed by filing a mass patent application. It said it did so after Shaw threatened to release the plants publicly if it did not reconsider its rejection. The university sued the men and CBC in 2016 for conversion and patent infringement, among other grievances. California strawberries bring in $2.5 billion a year and are the state’s fifth most valuable crop. UC Davis’s agriculture school has developed 56 varieties since 1945, creating strains that are bigger, taste better, stay fresh longer and yield up to six times more per acre. The varieties Shaw and Larson developed at UC Davis are grown throughout the world. They developed most of the strawberries eaten in California today. In 2004, they released the Albion variety, known for its sweetness and high yield. It can be grown nine months of the year and is the most widely planted strawberry in California today. On Tuesday, the researchers’ attorneys asked Shaw to respond to last week’s testimony from plant genetics expert Stephen Dellaporta about a DNA analysis he performed that showed 85 percent of the plants CBC grew from imported seeds between 2014 and 2016 contain genetic material from UC Davis’s patented, unreleased varieties. UC Davis attorney Rachel Krevans scoffed at the idea that Eurosemillas discarded Shaw’s cross-breeding plan, and said the DNA analysis and Shaw’s email to Cano suggested Shaw sent Eurosemillas a second, secret crossing plan, directing it to use the university’s unreleased plants. Krevans was not persuaded. “Don’t let them fool you,” she told the jury during her closing argument. During his closing argument, Shaw’s attorney Greg Lanier stopped short of blaming Eurosemillas, but insisted that Shaw had not intended to breed with the university’s unreleased strawberry varieties. The jury was to begin deliberating Wednesday. Krevans is with Morrison & Foerster; Lanier with Jones Day, both in San Francisco.